When seeking business turnaround, one of the first things you need to do is to determine the root causes of your economic woes. Your company may have financial problems for a plethora of reasons, which your business turnaround plan will have to consider. Sales may be down because a new competitor has entered the market or there is an economic downturn that is preventing your customers from being able to afford your goods. Research may show that your company has too much inventory – perhaps you made some unwise decisions and increased your costs far more than your profits would allow. 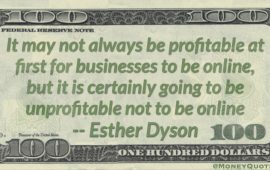 Maybe your profit margins have declined whereas your fixed costs remain stable. There are an endless number of reasons why your company has financial problems, and you must discover the root cause or else there will be no significant business turnaround. To discover the root cause of your company’s problems, you should first try to isolate the cause or causes by a comparative financial analysis, which is often important for business turnarounds. With such an analysis, you will be able to compare other companies to yours. In seeking a business turnaround, a good owner will look at websites such as http://www.bizstats.com and look at how other companies, including competitors, are doing. Sites like this allow the users to easily navigate through a great deal of relevant information about similar companies, so that a business owner can see which companies are doing well and which are not. If other companies in your industry are doing poorly, then the issue may have something to do with your industry itself. In that case, you will have to figure out how to bypass the issue and differentiate yourself from your competition so that your company can stand out. It is also possible that the comparative financial analysis will show your company is doing poorly compared to others, and thus the problems are specific to your firm. As a company owner seeking a positive business turnaround, you must then look to your own company and conduct your own investigation as to what the problem is. You may want to consider hiring outside consultants or other groups to help establish the root cause of your firm’s problems. Such organizations exist for this very reason – they want to ensure that companies such as yours are working in optimal conditions and as efficiently as possible. Business turnarounds often result from outside help, as these third parties can investigate your firm, its staff, your products, and uncover the reason for your financial troubles. Finally, a good business turnaround plan depends on a proactive and intelligent owner. You cannot only depend on comparative financial analyses and outside consultants – you must take matters into your own hands and investigate the problem yourself. Proactively research other businesses, investigate your own employees, monitor and analyze financial reports, and determine why the market is not responding to your product. While a company owner understandably has to allocate certain tasks to his employees or other parties, this is a situation where you also have to be more involved in your company than before, at least until the root causes of your issues are uncovered.